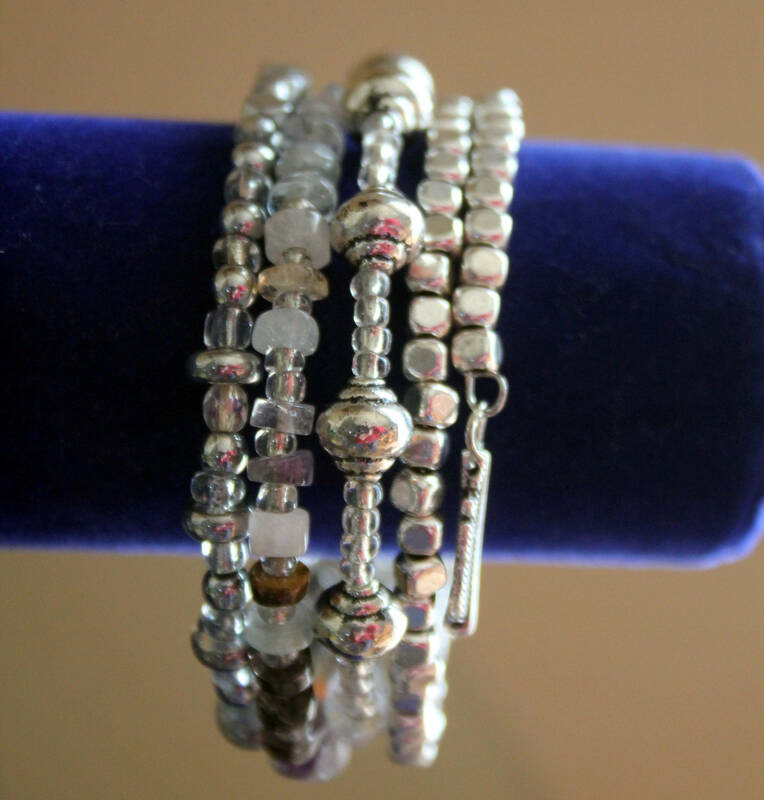 This bracelet is a wrist wrap cuff made from four and a half strands of strong shape retaining memory wire (tempered stainless steel wire that remembers its shape when you expand it and snaps back to its original form when you release it). The bracelet self adjusts to your movements. It is 1 1/4 inches wide. 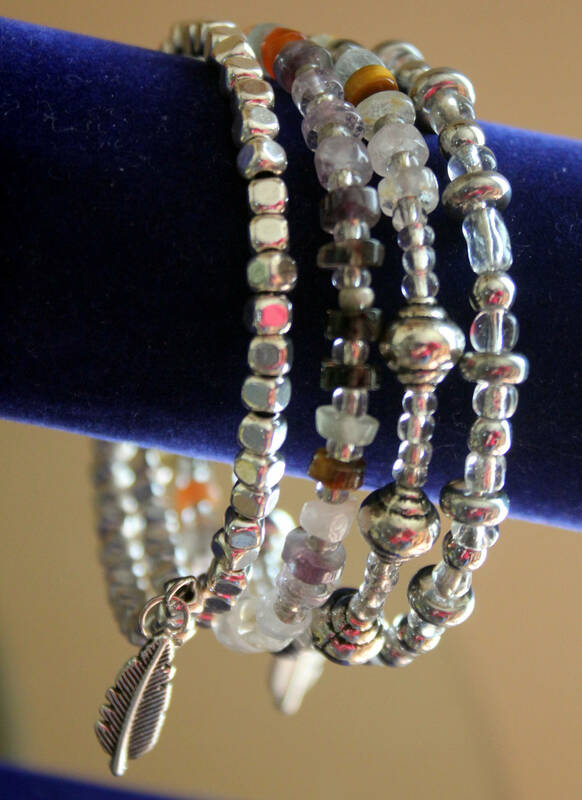 It is made with semi-precious gemstone chips including: carnelian, amethyst, quartz, rose quartz, tiger eye, iolite, citrine and opal, spaced with clear Czech glass seed beads. 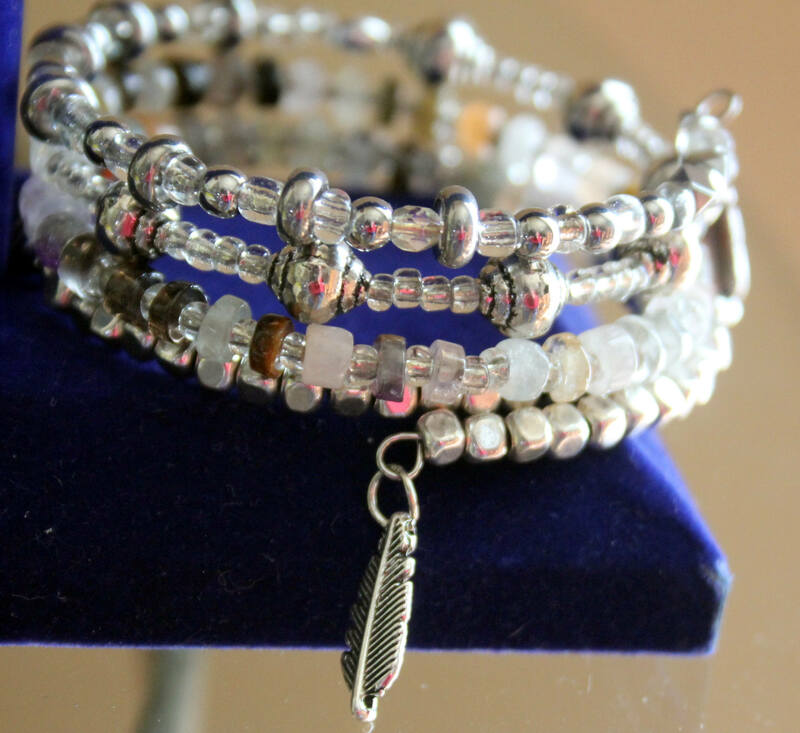 It has silver toned accent beads throughout and two silver toned feather charms.